Optimum Plastering - Plasterer based in Mill End, Hertfordshire. 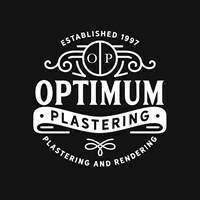 Optimum plastering is a small and friendly plastering company located in Rickmansworth, established in 1993 after serving a 5-year apprenticeship learning both solid and fibrous plastering. We began by getting small contracts and requests from builders /developers leading onto bigger projects in and around Hertfordshire. · And all aspects of the plastering and rendering trades. We pride ourselves in our attention to detail and finish all our works to the highest standards while leaving your home clean and tidy.